Holiday Tree Tees Just $13.99! Down From $37! You are here: Home / Great Deals / Holiday Tree Tees Just $13.99! Down From $37! TODAY ONLY! 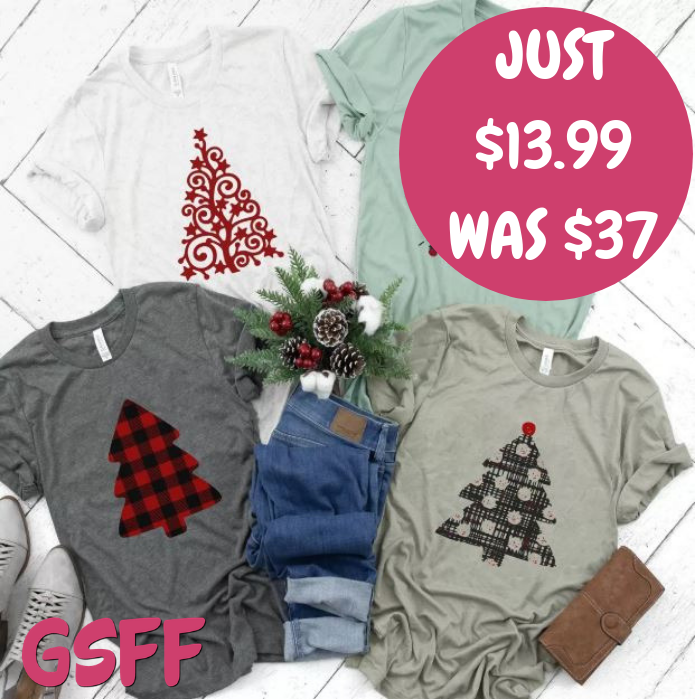 Jane is now offering these Holiday Tree Tees for just $13.99 down from $36.99! Shipping is $4.99 for the first item and $1.99 for each additional item! No holiday is complete without festive tees! Choose from 4 designs and an array of colors. Your boyfriend fit tees, with their relaxed feel and soft fabric will have you reaching for them again and again! Relaxed/Unisex fit. Longer torso & sleeves. See size info in description.